Sometimes I like fancy, and sometimes I like comfort. Last night I was in the mood for sandwiches, but my husband wanted meatloaf. Ugh. No one else in the house likes it, but he pulled the “I’ve been working all day” card, so I acquiesced. Turns out this meatloaf was pretty darn good, even though I made it under duress. In a skillet over moderate heat, add the oil. Heat the oil until hot, but not smoking. Add the onion and garlic and cook, stirring, until softened, about 5 minutes. Set aside and let cool. In a mixing bowl, whisk the eggs, milk, mustard, and hot sauce together. Add marjoram, thyme, salt, and pepper.In a large mixing bowl, combine the meats, egg-milk mixture, bread crumbs, parsley, and the cooked onion mixture. In a small bowl stir together ketchup, sugar, and vinegar. Set aside. Form 1 tablespoon of the meat mixture into a small patty, add it to a small oiled skillet, and cook until no longer pink. Taste for seasoning and adjust. Transfer meat mixture to an oiled loaf pan.*. *NOTE: The best way to make the meatloaf is to use a baking sheet, lined with foil. Place a cooling rack on top. Cut a piece of foil to be larger than a the loaf– and shape the meat into a loaf. Using a metal skewer, poke holes along the foil — usually every other hole. Place the shaped loaf on top of the foil. I prefer this method, as the loaf is less likely to “steam” in a loaf pan. You can also glaze all around the meatloaf, which is even better! Brush meat with ketchup glaze.Bake in oven for about 45 minutes, until glaze has set. 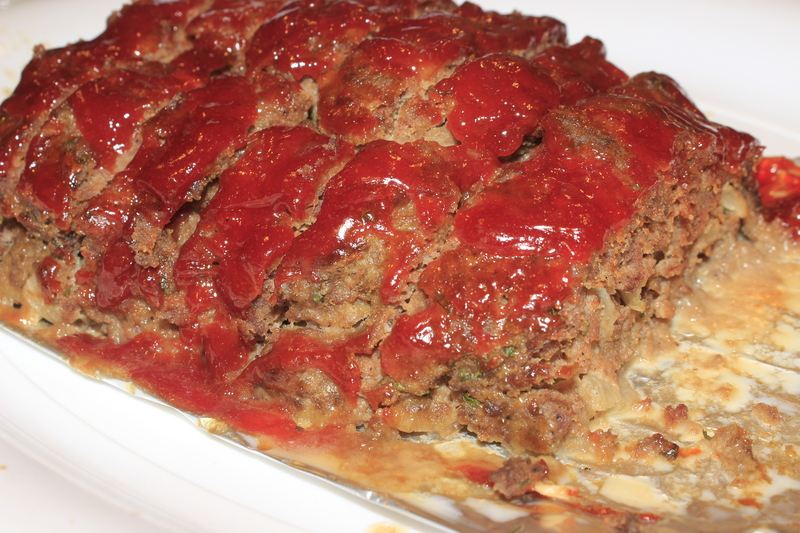 Brush meat loaf with remaining glaze and bake for 15 minutes more; glaze again. My oven takes 1 hour and 15 minutes to reach the desired doneness. Times do vary, so allow for that! Internal temperature of loaf should be 160 degrees F.
Place the potatoes in a large Dutch oven, cover with water and add the garlic powder, onion powder, salt, and pepper. 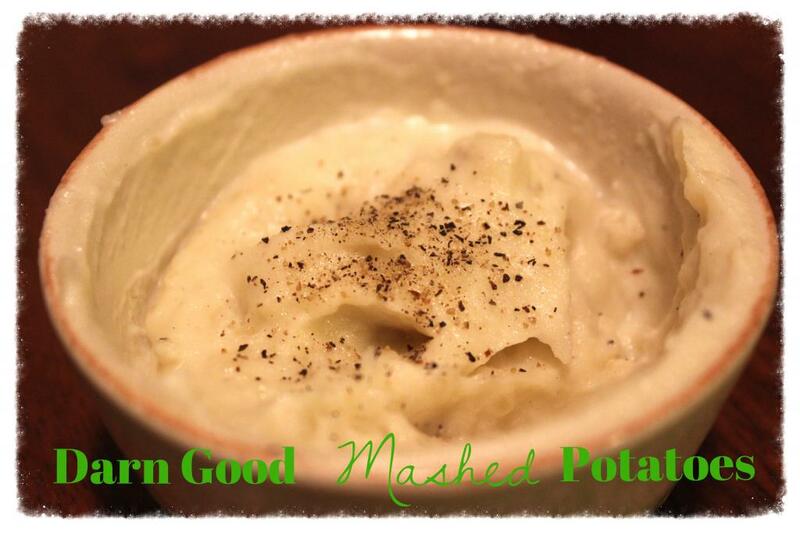 Bring the potatoes to a boil over high heat, then reduce heat to medium and cook until tender, (15-20 minutes). Drain well. Once you have the macaroni cooked and drained, place in a large bowl and while still hot and add the cheddar. In a separate bowl, combine the remaining ingredients and add to the macaroni mixture. Pour macaroni mixture into a casserole dish and bake for 30 to 45 minutes. Top with additional cheese if desired, and bake a few minutes more until cheese is melted. Grease an 8×8″ pan on bottom and sides; set to the side. In a medium bowl, whisk eggs until well blended. Add sugar, milk, melted butter and whisk thoroughly. Add Bisquick and cornmeal to egg mixture, and mix just enough to completely moisten dry ingredients and leave no lumps. 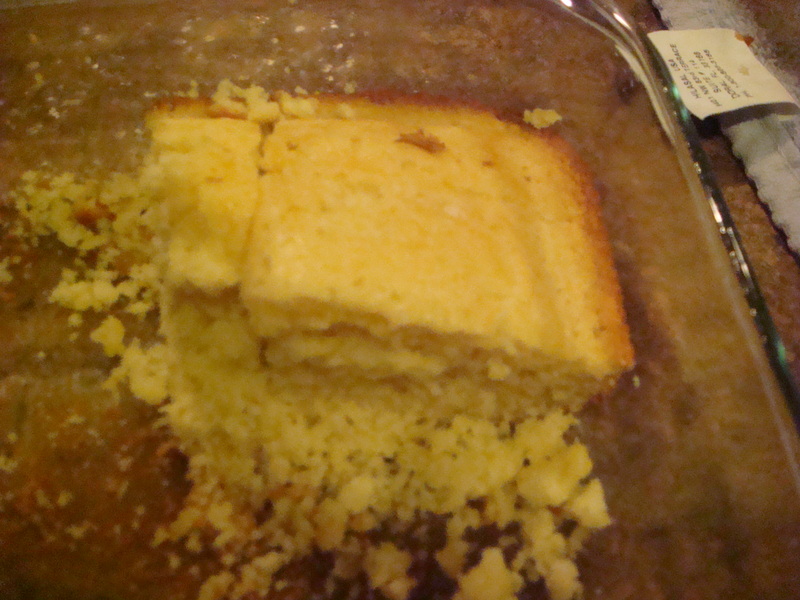 Bake for 25-35 minutes, or until toothpick inserted in middle comes out dry and top is firm to touch. Doubles easily into 9×13″ pan; adjust baking time accordingly. The meatloaf is very good!